Created an appliqué Hamsa around the 4-Hobby Gold Lacy Hamsa design. 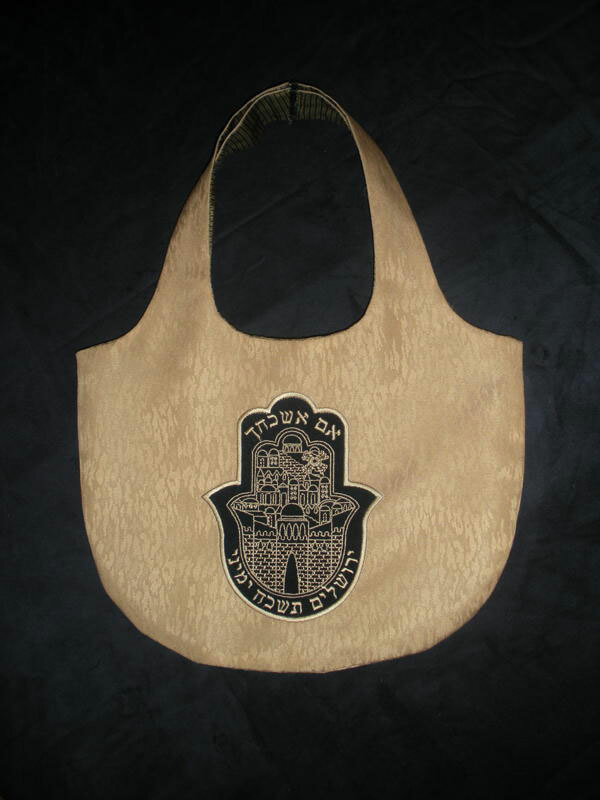 Added the Hebrew words between the appliqué Hamsa and the 4-Hobby Gold Lacy Hamsa design. *The finished patch can be stitched directly on fabric or stitched as a patch to be sewn or glued on other projects - see attached pictures. 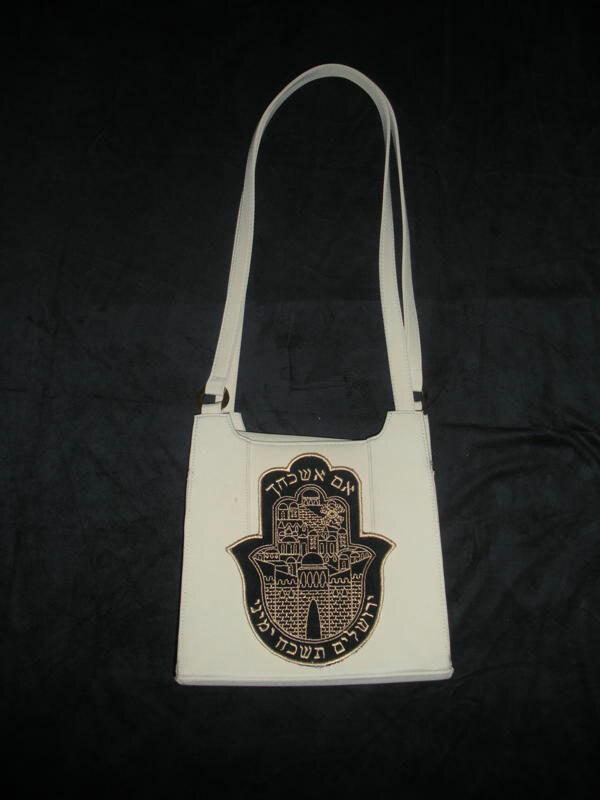 The patch was stitched with gold metallic thread directly on the front part of the bag (upholstery fabric) with a black velvet fabric background. All Shabbat Bag parts (upholstery & lining) were sewn together. 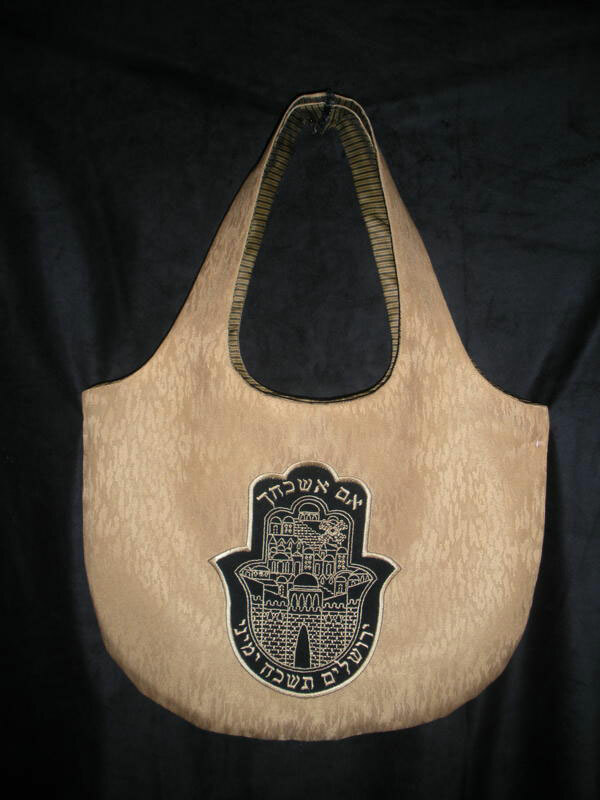 The finished Shabbat Bag was decorated with a black ribbon on top of each handle and a square of Velcro was glued on the inside to keep the bag partially closed.